I can’t really answer today’s challenge. I can’t remember that many films made out of books I’ve read – I discovered long ago that I prefer the book so tend to avoid the films. 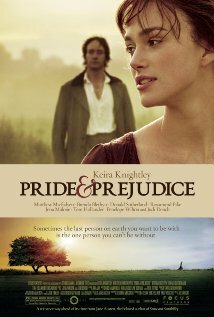 If we include TV I can say I have a general dislike of Jane Austen adaptations. This is firstly because there is an ‘Austen’ style – clothes, general look, acting, direction – all come out of the same mould at each adaptation. Another reason is that they seem to miss a lot of the subtlety of the books, lose the irony and emphasise the love aspect at the expense of the social comment. I wish I’d seen the Bollywood version; I think I might like that. But I’m not sure what to ‘desecrate’ a book means. 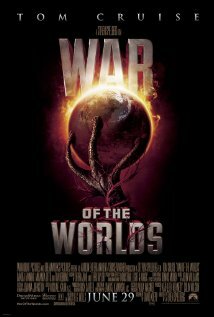 Spielberg’s 2005 War of the Worlds was a fairly good film that had little to do with Wells’ original. Does that mean it ‘desecrated’ it? It’s not a term I would use – I’d more likely say it tried to elbow in on the book’s fame. Sherlock Holmes has suffered from some terrible films. So have Dracula and Frankenstein. I suspect that others could add to this list. Here I think ‘desecration’ might be an appropriate term.